A worldwide materials and technologies watch dedicated to innovation and inspiration. 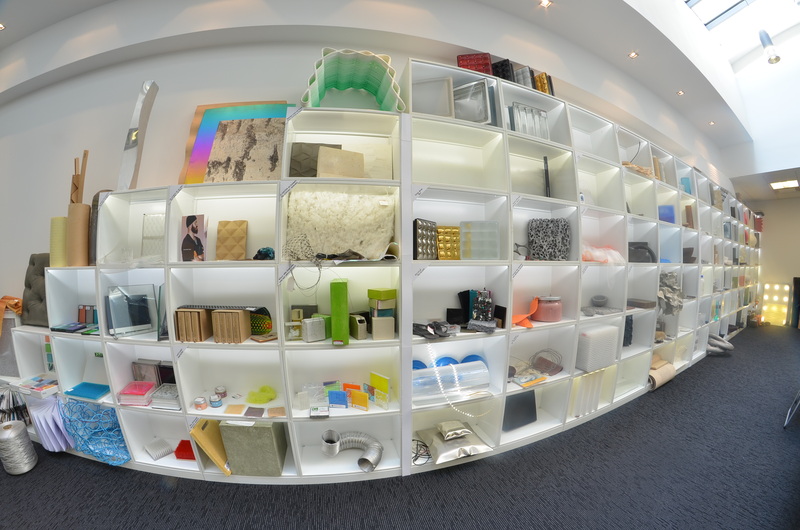 Come see and touch thousands of singular material, product and technology samples, classified by families. A sparkling place, where creative professionals can come to manipulate and to get inspired... A true Aladdin’s cave for designers! More than 8000 amazing materials ID cards, more than 6000 manufacturers contact details. 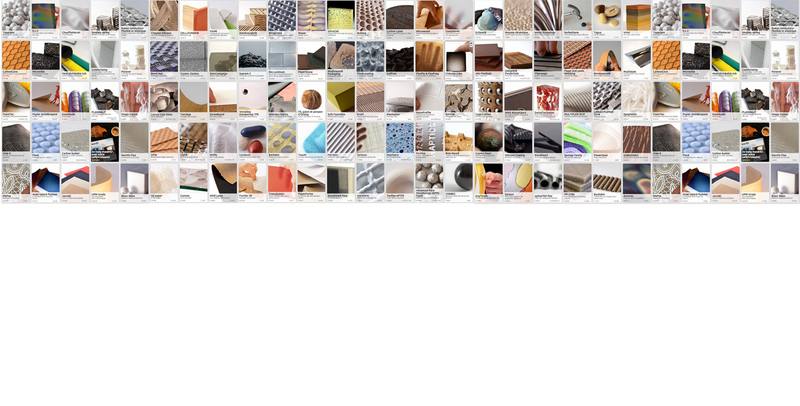 Launch researches: the virtual material library houses the entire set of references our team carefully selected. This online tool offers extensive answers to member’s queries, thanks to surprisingly intuitive, user-friendly and original research functions. A must-have tool! Both physical and online databases are updated on a daily basis and grow through the addition of the latest novelties on an international scale. "Slow lens" is the last piece of the artist Vincent Leroy, a fine explorer of matter and its capacities, whom he likes to push to his limits by playing with light and its optical effects. This assembly of suspended lenses seems to float in the air, a kind of spatio-temporal flaw capable of cutting, splitting, reflecting but also revealing the space it occupies. The artist has installed this poetic mirage in several places in the Paris region, including under a bridge (see images), and offers us a disturbing play of light and shadow! matériO has been a certified training center since 2006. An annual program of various training sessions is available, dealing with topics such as light and materials, durability and materials, bioplastics, retail materials, etc. but do not hesitate to contact us for a session customized to your needs (5 attendees minimum) or for a session to be held directly in your company (we do travel with suitcases full of samples!) English speaking sessions can be organized.